For 20 years and more they have been actively involved in various ways supporting the people of Timor-Leste to help repay the ‘debt of honour’ the 2/2 men felt they owed them for the assistance they received during their campaign against the Japanese occupiers of their country during WWII. This was not the case with their first experience as observers in the south-western town of Suai during the independence referendum held 20 years ago on August 30 1999. The excitement and eager wish of the local people to participate in the referendum is evocatively conveyed in these photos that Colleen took at the time. 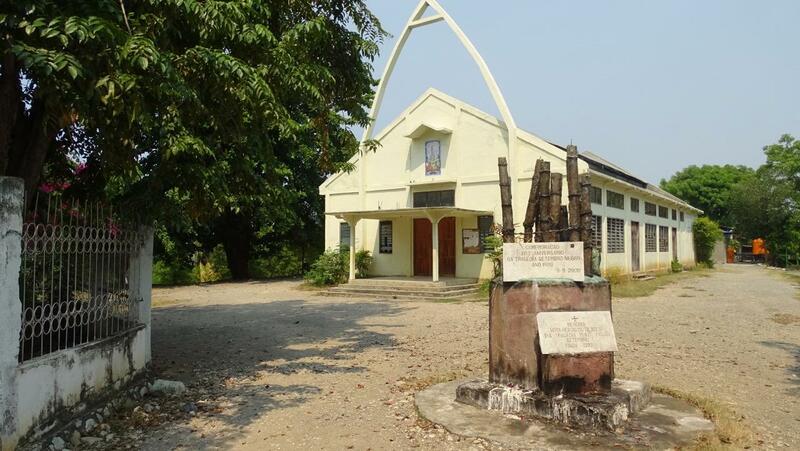 Two days after Murray and Colleen had left Suai pro-Indonesian integration supporters occupied the town and massacred as many as 200 men, women and children who had sought sanctuary in the church. Three of the church priests were amongst the victims. The Timor 1942 Commando Campaign Tour group visited Suai on 29 April 2018 and were moved when observing the memorial to the massacre victims outside the church and the magnificent cathedral, now completed, that can be seen under construction in the background of one of Colleen’s photos. 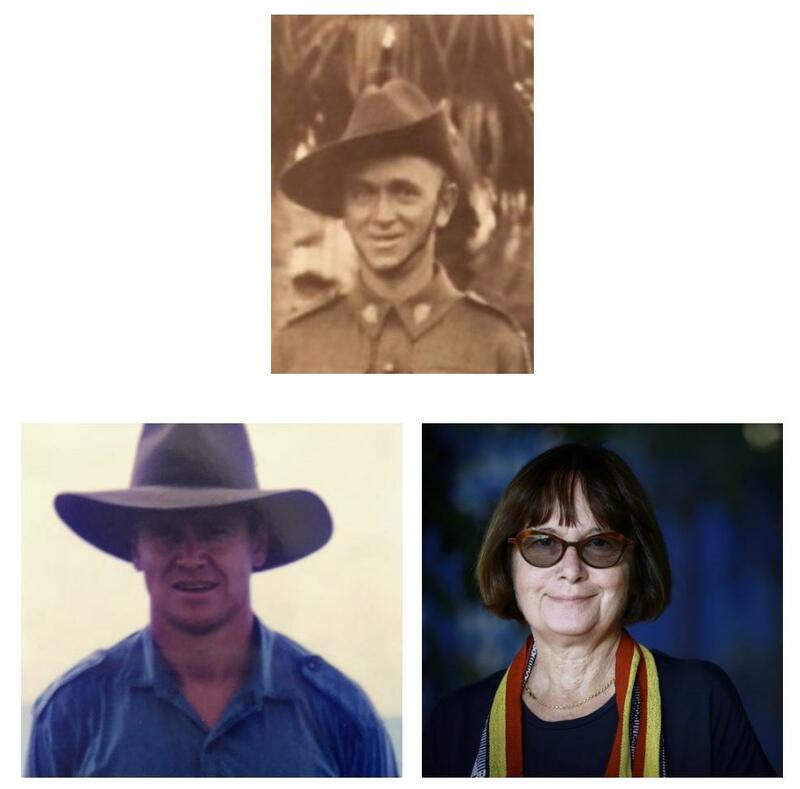 In his address at the Anzac Day ceremony at Denmark (W.A) in 2013, Murray told the story of his family’s connection with Timor-Leste that began with his father Norm’s service there in WWII and has been sustained by Colleen and himself. This is the story of Denmark and its bonds to East Timor over 70 years, forged in adversity and war, but for the past 12 years celebrated in education and friendship. East Timor is an island 600 km north of Wyndham at the top of Western Australia. On a good day if one is high in the southern mountains of East Timor you can actually listen to ABC radio through its Kununurra transmitter. This story begins in the last days of 1941. These were dark days for Australia. Japan had attacked Pearl Harbour and the East Indies on7th December1941. The main part of the Australian army, the 6th, 7th and 9th Divisions were in the Middle East. Two thirds of the 8th division were in Malaya, as the clouds of war had been gathering with Japan, whilst the 8th divisions other battalions were in West Timor, Ambon and New Britain protecting airbases that was Australia’s eyes to the North. The Japanese were able to defeat the allies on the Malayan peninsula, the Philippines and the Dutch East Indies in a matter of months. Sparrow force, the Tasmanians of the 2/40th battalion guarding the Airfield at Kupang in Dutch West Timor fort valiantly but were overwhelmed. Neutral East Timor was also invaded, with Japanese influence reaching the Australian shores with the bombing and destruction of Darwin. The 2/2nd commandos were 250 men, recruited from Western Australian, specially trained by English commandos at Portsea in Victoria. They probably expected to go to Middle East, but instead ended up in East Timor, a Neutral Portuguese Colony to the North of Australia. Because Portugal was neutral the allies only wanted a low key presence in East Timor, with the 2/2nd having recognisance role. On East Timor the 2/2 commandos refused to surrender but were cut off from Australia. The Australian Government assumed they had been captured, but instead they started a guerrilla campaign in mountains of Timor, breaking into small groups of 10-20 men and harassing the Japanese. They survived because of their skills, training, help from sympathetic Portuguese administrators, and Timorese help. They lived amongst the Timorese villagers and were supported by them. The most important help were the kriadu, (Tetum for servant) Timorese young men and boys whom attached themselves to individual Australian soldiers as helpers, guides, food scroungers and mates. Denmark’s connection to this campaign was in the form of 3 soldiers. Norm Thornton, whom moved to Denmark as a boy in 1910, farmed with his family at the base of Mt Lindsay, went to school at the Mt Lindsay Primary, the site of the present Mt Lindsay fire shed. Norm left Denmark and became a carpenter and builder before the war. He spent the whole war in Commandos, also fighting in their campaigns in New Guinea and New Britain. After the war he returned to Denmark and started a building business. Jeremiah Haire also moved to Denmark in 1910 with his family, one of first students at Scotsdale primary school (the present Scotsdale hall). He won a scholarship to Albany high, finished as school captain, dux and champion athlete. Jerry went to Claremont Teachers college, and before the war was teaching at Perth Modern School. He was a founding member of University athletics club, represented WA in interstate competition for 3 years and after the war coached John Winter to 1948 Gold in High jump at the London Olympics. He became the superintendent for English at all WA schools, and finished his career teaching at the WA secondary College. My impressions from working in the Mountains of Timor are that the men of the Scotsdale valley would have been at home here. The subsistence farmers of East Timor would have been very similar to the farmers of 1920 Denmark. The 2/2nd commandos had many stories of daring, ingenuity, bravery and loss in there year in Timor. 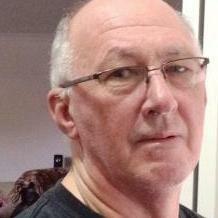 Author Paul Cleary has written a ripping yarn of this campaign entitled “The Men who came out of the ground”. It is so titled because the Japanese were frustrated by these men whom appeared from nowhere, ambushed, and then disappeared. One of the great tales is how they managed to scrounge parts to build a radio to contact Darwin. Once they had convinced Australia it was really them, they received by airdrop desperately needed, medication, cloths, boots and ammunition. A small boat was also organised to come in stealthily by night to evacuate sick and wounded men on a regular basis. An interesting comment from one of the reinforcement soldiers who joined Norm and Geordies section was that he thought he has joined a platoon of scarecrows, so thin and emaciated were the soldiers who had been in Timor from the beginning of the campaign. By the end of 1942 Australia had decided to bring the 2/2nd commandos home, as the Japanese were killing many of the Timorese in a scorched earth policy, trying to deprive the commandos of food and shelter. Also, by this time the Americans had gained the upper hand in the Solomon Islands, and Kojonup farmer Brigadier Arnold Potts had led the Australians in the Kokoda campaign with the first elements of the 7th Division returned from the Middle East, bringing the Japanese advance to a stop. The commandos were to be picked up from the south coast of Timor at Betano, by the destroyer HMAS Voyager. Unfortunately, the Voyager came in too close and ran aground, only to be destroyed by Japanese aircraft at daybreak. A replacement destroyer was hastily organised and a couple of nights later the 2/2nd commandos left Timor, leaving 250 crying Kriaduon the beach, and a rearguard force that had to quickly melt into the mountains. The story of Timor is the story of theKriadu. Norm’s kriaduwas Nicolau Goncalves, a16 year old from the hill town Basetete. He was an educated boy who spoke Portuguese and Tetum, and by the end of a couple of months he could swear in English. They lived and fought together for a year, saving each other’s lives many times. As an adult in1968 Nicolau came to Denmark on an Agriculture exchange sponsored by the Portuguese administration of Timor and the men of the 2/2nd. Portugal gave up all its colonies in 1975. Indonesia then invaded the fledgling independent East Timor. Nicolau, along with 3 of his sons were killed fighting the Indonesians. The story of the Goncalves family is the story of East Timor, with 200,000 out of 800,000 Timorese perishing in the invasion and subsequent famine. Indonesian closed East Timor to foreigners, and it was not until the 1990’s that international visitors could travel to Timor. In 1999 we once again visited East Timor as UN election observers, helping overseeing the ballot the UN had persuaded the Indonesians to hold for the future of East Timor. At the conclusion of the ballot, when the vote was known to be overwhelmingly for an independent East Timor, Indonesian militia gangs started a wave of looting, destruction and murder. It was appropriate that Australia led the International Assistance force under General Cosgrove that restored peace to East Timor and saw the withdrawal of Indonesia. The UN then administered east Timor until 2002, when it was granted independence. After the elections of 1999 and into early 2000 I worked for an NGO and the UN organizing food and emergency supplies for three provinces of East Timor. Working alongside me was Janario Goncalves, one of Niciloe’s surviving sons. One of the chances of fate that life sometimes throws up was that I had to organize the first barge of rice to be shipped to the south coast of Timor from Darwin for the UN world food programme. We brought the barge into a sheltered bay on the South Coast, over the top of the wreck of HMAS Voyager. Denmark’s connection with education and East Timor was driven by Libby Corson, a former English teacher at the Denmark Agriculture College. Libby and her band of fabulous helpers organised many events to sponsor East Timorese students. With the support of Denmark sponsoring family’s we were able to sponsor 80 students to complete a diploma in agriculture, 150 students to complete high school, and 450 Primary students. The last of 10 Students sponsored at university will finish his Veterinary Science degree this year in Indonesia, before returning to East Timor. East Timor now has money from oil and gas in the Timor Sea to pay for teachers and schools. It is still very much a third world country, and it will be a number of generations before it reaches the standard of health and education we take for granted in the West. 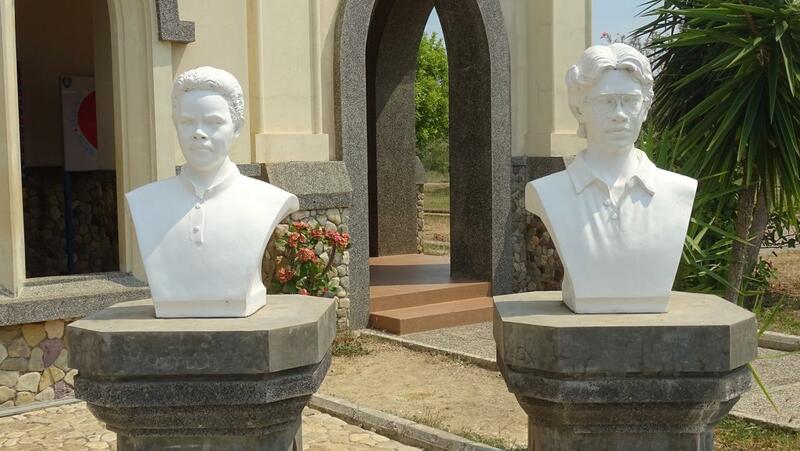 Through education and friendship Denmark has been able to repay some of the Debt of Honour to the Timorese for looking after the sons of Denmark in the dark days of 1942. ‘Vale Norman Thornton: tribute from Paddy Kenneally’ Courier April 1984: 9; ‘[Vale] Norman D. Thornton’ Courier February 1984: 8. ‘Vale Jerry Haire’ Courier August 1990: 5-6. ‘Vale George Hamilton-Smith’ Courier December 1989: 4-5. ‘Murray Thornton's visit to East Timor’ Courier August 1995: 12-16. Thank you for posting this. I didn't realise so many criados were left behind on that final night. Heartbreaking. But what fantastic achievements by the Denmark East Timor Fuiloro Association, and the Thorntons.